This speedy lamb ragu pasta recipe tastes just like the classic with about half the cooking time. The time is compensated with the use of spices, aromatics and lamb! 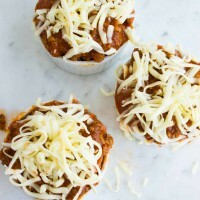 All slowly simmered in a smooth tomato sauce lightened up with a touch of sour cream and finished off with plenty of parmesan cheese. Serve it the classic way or on vertical pasta like I do here! 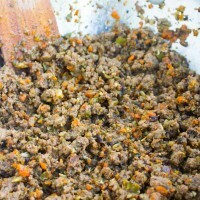 I think everyone has a version of ragu they’re used to and love. 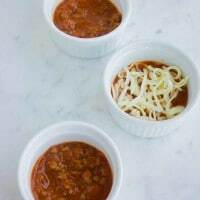 Well I love a good ragu too, but on most occasions I can’t afford waiting 2 hours for the ragu to simmer and reach that perfect level of flavor. So to get the best of both worlds, I had to infuse extra flavors and cut cooking time by half. The usual flavor suspects you expect are there—the onion, garlic, mushroom, carrot, herbs and spices but all in higher ratios than the classic version. 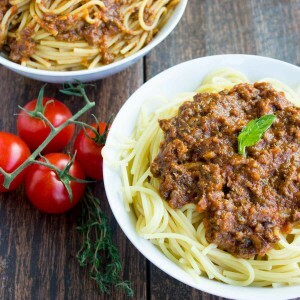 And when it comes to the tomatoes, I go for my speedy quick homemade marinara sauce (you can substitute crushed canned tomatoes) just to get the most of my tomato flavour too! I don’t add milk to the ragu because it takes longer to evaporate and for the sauce to thicken. 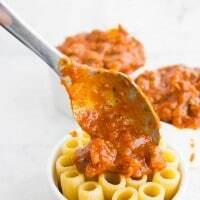 So I got for the sour cream which gives me 2 benefits- it thickens up this speedy lamb ragu pasta without having to boil it for a long time, and it offers a lot of creaminess to the sauce with a smooth finish and no curdling with the tomato sauce. One last but definitely not least flavor booster I use is the switch from beef to lamb! 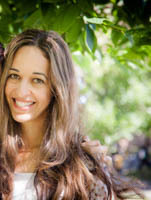 If you’re not a lamb enthusiast, you might want to give this one a try! 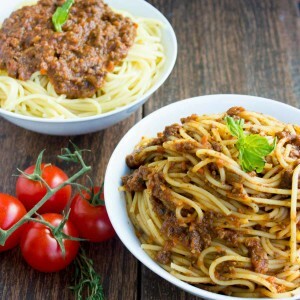 I am usually not a fan of switching beef to lamb in most of my recipes, but here I found it works better, and makes it a little distinctive than let’s say your average beef ragu pasta. Obviously, this speedy lamb argue pasta recipe is fabulous on spaghetti the classic way—either tossed with or slathered on top of—as you see in these couple of photos. 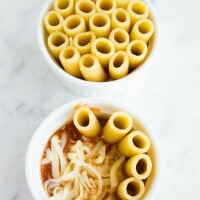 But I find it even better on these vertical rigatoni pasta! Vertical pasta isn’t a new thing in Italy, but for some reason it isn’t as common on the other side of the world here. 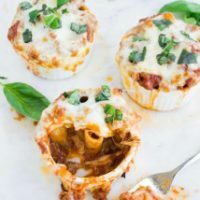 I will just note a few tricks to the fabulous vertical pasta here—in many cases, an egg is added to the cooled sauce to make sure the pasta sticks together and binds well when baking. I prefer cheese as a binder than egg—not because I taste the egg-y taste or anything but because I would rather enjoy an extra cheese-y taste to my pasta. I love boosting the flavor by layering the bottom of my baking dish with a lot of sauce! This also makes my vertical pasta moist and help it not stick to the bottom. I prefer not to cook my pasta before arranging it and baking, because I don’t want to risk it getting mushy or over cooked —I like to scatter the pasta in a wide plate of boiling water for a few minutes just to soften it a little,then I arrange it and bake away..
Preheat a skillet over medium hight heat and add the olive oil. 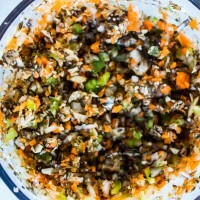 In a small food processor, add the onion, garlic, carrot, mushrooms and process until finely minced. When the skillet is hot, add in these minced aromatics, half the oregano and half the rosemary and a pinch of salt, then sauté for 2 minutes until they start to soften up. At that point add the lamb and season it with salt, pepper, pepper flakes (if using) and the remaining half rosemary and oregano spice. Saute the lamb with the aromatics until the lamb starts to crumble and cook, then add the crushed tomatoes (or marinara), basil (or pesto) and the extra oregano along with salt and pepper. 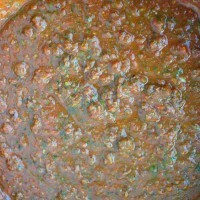 Allow the sauce to boil and then lower the heat to low and let the sauce simmer for about 30 minutes. Then add the sour cream and parmesan cheese and let the sauce simmer for 10-15 minutes more. For the vertical pasta, preheat the oven to 375 degrees. Place the pasta in a wide dish and soak it in boiling water for 5 minutes to soften them. 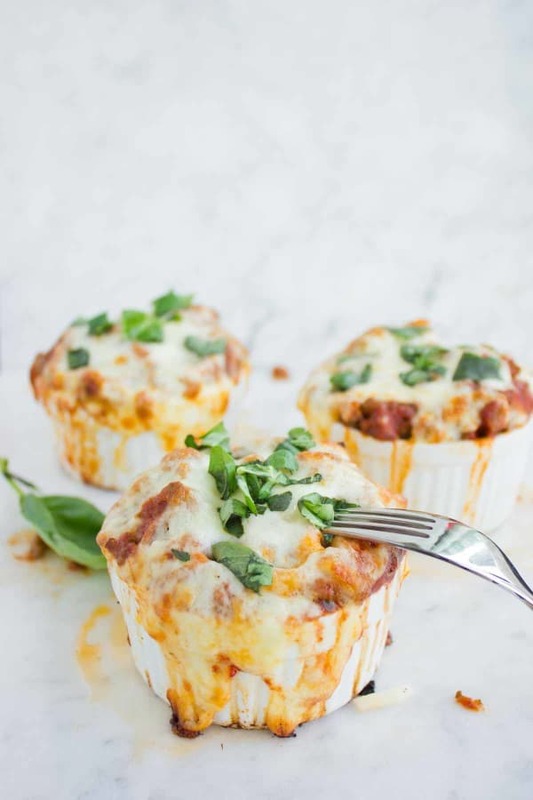 Place 1/4 cup of sauce at the bottom of each ramekin and sprinkle 2 tablespoons of mozzarella cheese on top. Then arrange the pasta vertically tight as you can, just leaving a little bit of space for the pasta to expand and cook in the oven. 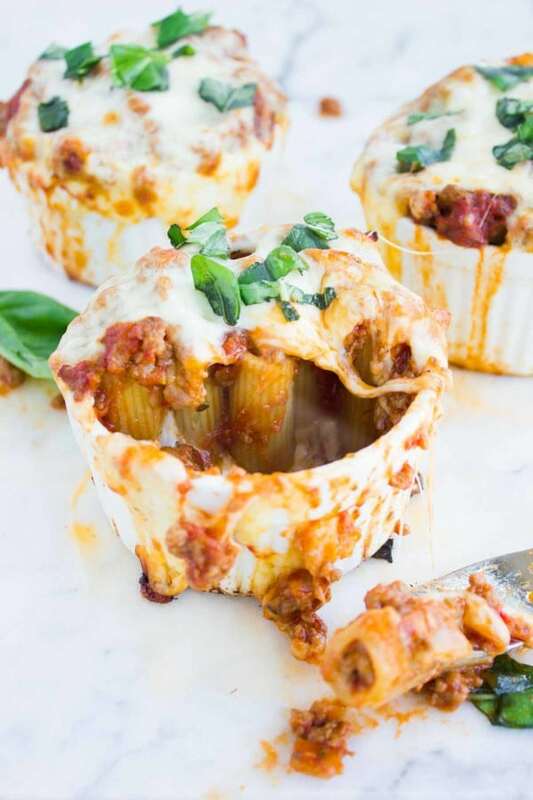 Take nearly 1/2 cup of extra sauce and pour it over the pasta and sprinkle generously with mozzarella cheese on top, on the side and in-between any spaces you find. 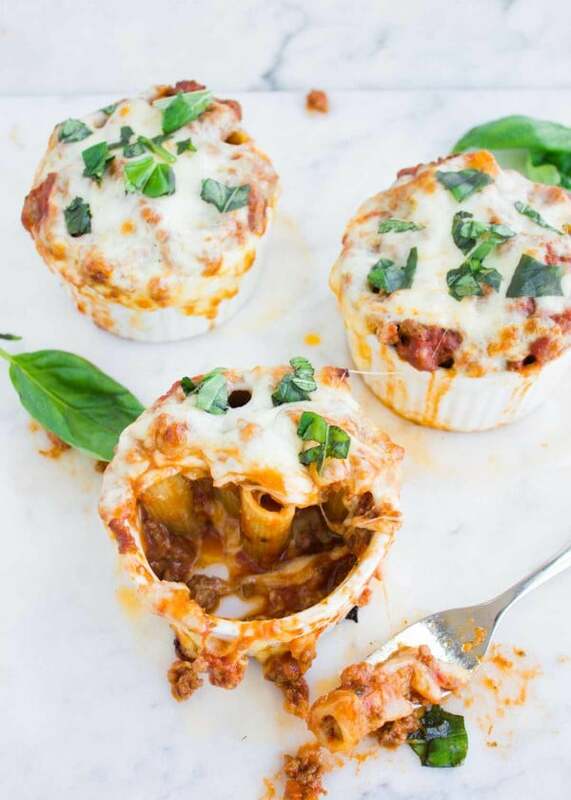 Bake the vertical pasta for 15 minutes until cheese is melted and pasta is softened and cooked. Serve sprinkled with fresh herbs and Parmesan on top. This is so cute and looks devine. 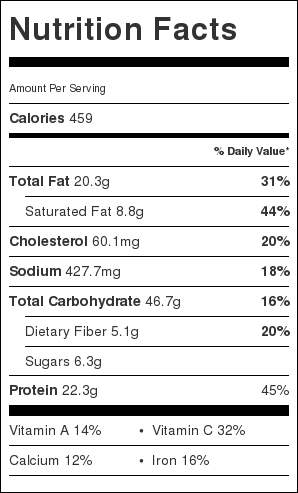 I also like the small “controlled” portions. Many,, I wish I could taste test all your fabulous food creations!